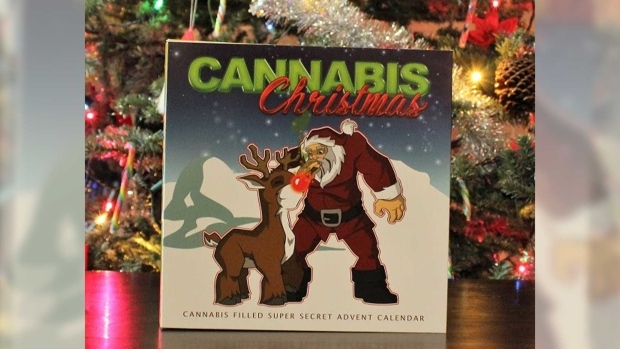 A "Cannabis Christmas" calendar is shown in an image provided to CTV by Bobbi Hopeful. When they think of Christmas, most people think evergreens, mistletoe and poinsettias, but a local company wants to add one more plant to that list: pot. For the second year in a row, CannaCalendar is pitching a gift for those who prefer sativa to sugar plums. The Vancouver-based company is selling cannabis for Christmas. For $139 – or $99 during the week of Cyber Monday – those not sure what to get the weed lover in their life can bring them 25 days of different strains. The 2018 packaging is "still hilarious but not new," CannaCalendar's Bobbi Hopeful told CTV News, but the compartments are filled with different strains than previous versions. The company also sold a version ahead of 4/20. And Hopeful expects that they won't last long. "They sold out like crazy last year and our elves are working hard to stuff each calendar with 25 half-gram samples," Hopeful said. "With all the write-ups about what to expect in the way of the high or medicinal value of each strain, the fact is the effects depend as much on the user as the strain. So trying as many strains as you can afford is the smart way to learn which ones work best for you." 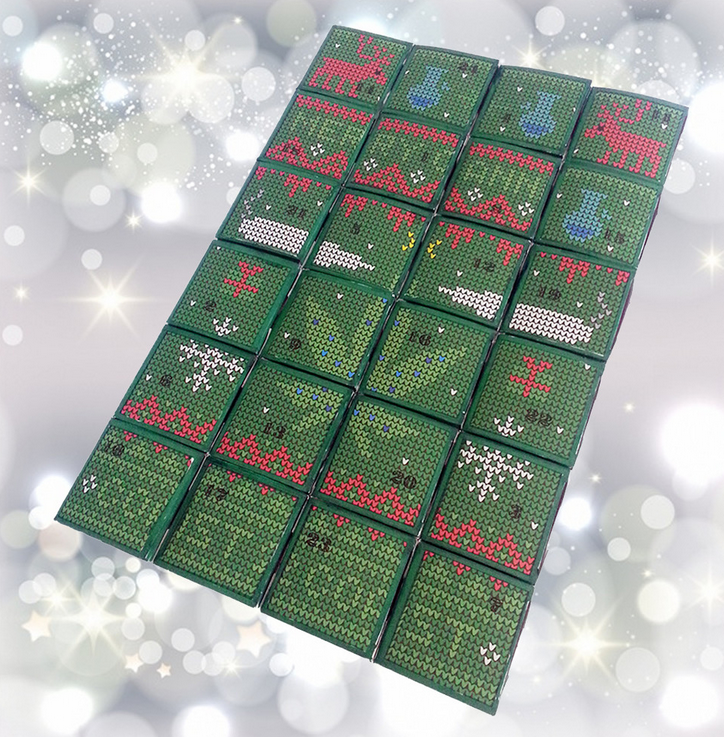 Coast2Coast Medicinals is also selling an advent calendar, priced between $230 and $325 depending on fill option. They can also buy the "Merry Cannabis" calendar empty and fill it themselves. Neither company is licenced in B.C., and last year, experts expressed concerns about a gap in the law illustrated by products such as advent calendars. "My biggest concern is that it's not a regulated product," Canadian Centre on Substance Use and Addiction's Rebecca Jesseman told The Canadian Press. "We're talking about a product that has not gone through quality testing, so there's no way to be certain as to what's in the product in terms of the levels of THC and other cannaboids, so what the level of intoxication will be." A professor at the University of British Columbia's School of Population and Public Health called the calendars a step in the wrong direction. In an interview last November, he expressed concerns about brightly coloured packaging appealing to minors. "We don't want to criminalize it. We don't want to promote it. We want to make it boring," Mark Haden said. "It's reasonable to assume that advent calendars will be opened by children. That is not a good idea." Coast2Coast's cannabis advent calendar is shown in an image from the company's website.